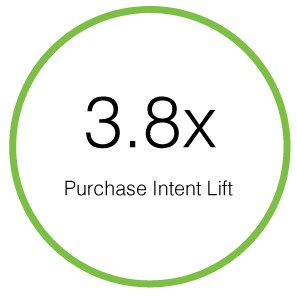 Support the launch of a completely new Energizer product by driving brand awareness and purchase intent for the revolutionary Energizer EcoAdvanced, the first battery made from a percentage of recycled materials. inMarket, the world’s largest mobile consumer experience platform, partnered with MEC Global and Energizer for a groundbreaking beacon proximity program, effectively creating a blueprint for CPGs achieving product launch success with their mobile proximity efforts at scale. 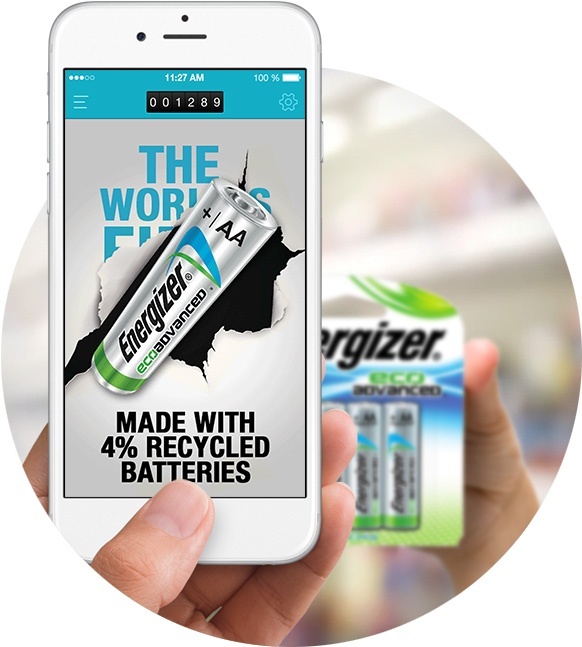 The campaign took place from March — August 2015.
inMarket deployed Energizer’s creative messaging to its industry-leading beacon proximity scale (50MM monthly active app users in thousands of major retailers), engaging the audience at the precise moment they entered a store. 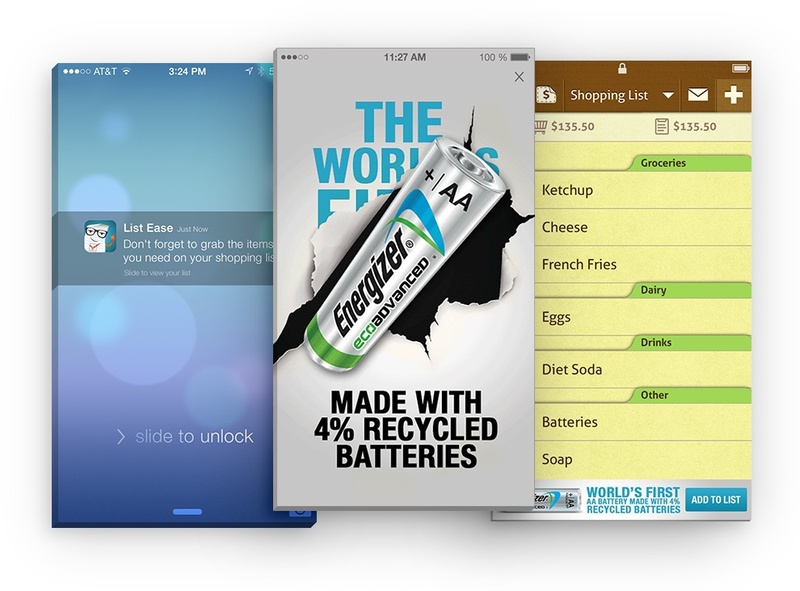 Upon entering a store, engagements were deployed to initiate the mobile moment, native, in-app engagements designed to remind the shopper of the Energizer brand. 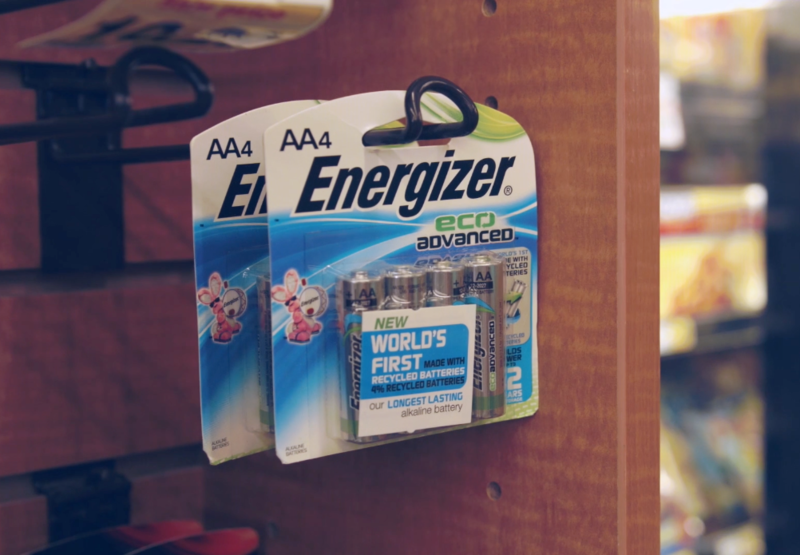 inMarket also drove rewards-seeking shoppers to pick up Energizer products off the shelf and experience the brand with their own hands. 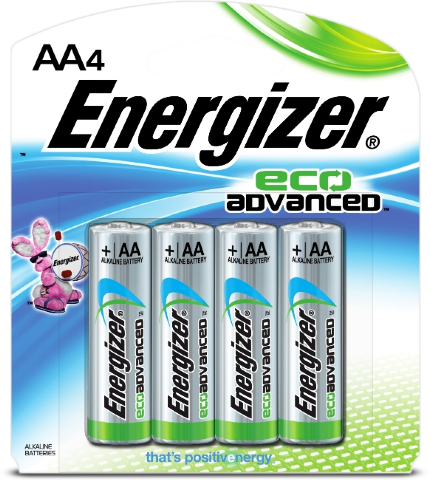 Energizer EcoAdvanced was a new product at the start of this campaign, with average pre-engagement purchase intent totalling 3.5% of the polled audience (34,000 respondents). Post-engagement purchase intent spiked 3.8x to 16.8%, showcasing that consumers were receptive to receiving Energizer’s creative while shopping in the store, and planned to buy the product. The product received over 411,000 physical, in-store engagements at the shelf, or 2,249 per day for the duration of the campaign. 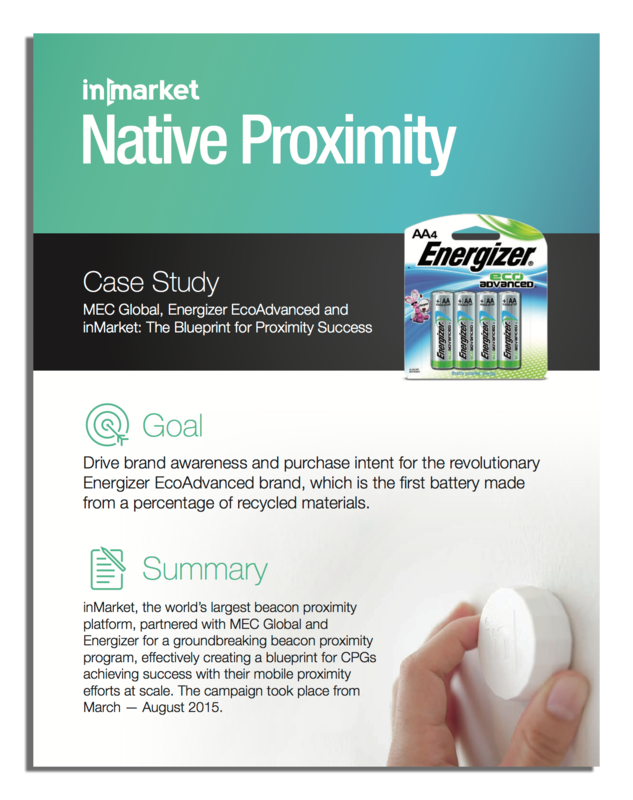 inMarket, the world’s largest mobile consumer experience platform, partnered with MEC Global and Energizer for a groundbreaking beacon proximity program, effectively creating a blueprint for CPGs achieving product launch success with their mobile proximity efforts at scale.